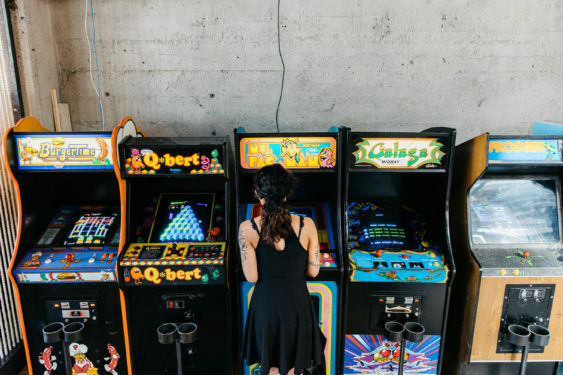 Coin-Op is an awesome 10,000 square foot space in SoMa that was transformed from a steel foundry into a two-story bar and game room with 40+ pinball and video games, plus a secret speakeasy (hidden behind a “busted” video game). On the last Sunday of every month, all pinball machines and arcade games are set on free play from open to close (currently 2pm to 2am, but check coinopsf.com for the latest schedule). So this means unlimited games like a 4-player Pac-Man, Ghostbusters pinball, two pop-a-shot basketball hoops, NBA Jam and Funcheap’s favorite shoot-em-up, Time Crisis. Plus there’s a full bar and menu for fueling up during play. It’s possible that Free Play Sundays might be preempted by a private party or other event, so we recommend you contact Coin-Op first before heading out.